It is time to enter relocation’s most prestigious international awards. Global mobility professionals across the corporate sector and service suppliers are dealing with unprecedented change but there is much to celebrate. The closing date for most categories of the Relocate Awards 2019 was on 15 March. There are extensions to the deadline for some categories please call +44 (0)1892 891334 or email awards@relocatemagazine.com for further details. It is your chance to shine, showcase your great work across relocation, innovations and the achievements of your team. Enter the Relocate Awards and gain the recognition you deserve. But you can’t win if you don’t enter. As the ultimate recognition for those working in the relocation and global mobility sector, on both the HR and the supplier side, the Relocate Awards are a globally respected brand. 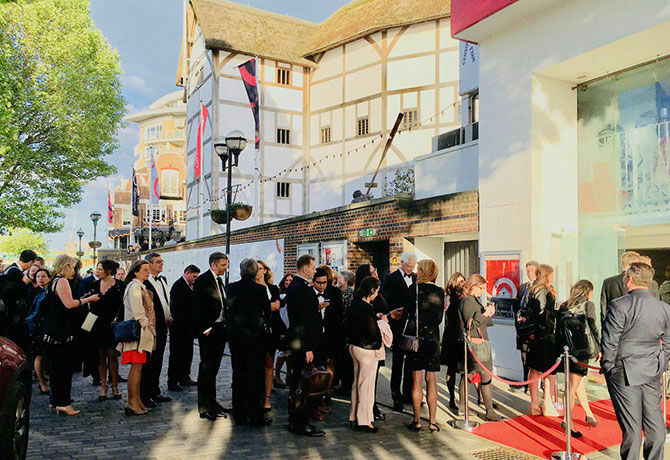 Building on the excitement and enthusiasm generated by the 2018 Gala Awards Dinner and presentation, held at The Underglobe on London's South Bank, the 2019 awards will take as their theme how harnessing innovation and creativity can take organisations of all types and all sizes to the next level, and explore some of the challenges facing companies in 2019 and beyond. This year's Gala Awards Dinner will be held at the St Pancras Renaissance Hotel in London, on the same day as the Festival of Global Thinking. The Gala Awards Dinner is the highlight of the global mobility calendar, drawing international guests to network and celebrate success in this dynamic and growing sector. For general, entry and Gala Awards Dinner enquiries, email awards@relocatemagazine.com, or call +44 (0)1892 891334. The Relocate Awards have evolved in response to an increasingly fast-moving and globalised business environment, changing times, and feedback from HR and relocation professionals. To raise your company’s profile across the relocation and global mobility sector, why not sponsor an award? Our full sponsorship package is exceptional value for money, offering a full year of significant exposure through pre- and post- awards publicity in print and online, at special events, and on social media. This will be reinforced by display and sponsors’ opportunities at the Gala Awards Dinner. Sponsors also enjoy preferential series advertising rates in Relocate magazine and on the Relocate website.